Let us look at some of the most common questions asked on my blog about planning a trip to Leh Ladakh. I am starting this five-article series of Leh Ladakh FAQs to answer all your questions about planning a trip to Ladakh. I will also keep updating this Leh Ladakh FAQ series with new questions in case I have missed to answer any and also keep my answers fresh with updated information about planning a trip to Ladakh. Q1. How to reach Leh Ladakh? Q2. How many days do I need for a Leh Ladakh road trip? Q3. How do I plan my Ladakh trip by air? Q4. How do I plan my Leh Ladakh Road Trip? Q5. Can I do a Leh Ladakh trip in 9 days? Q6. Can I do a trip to Ladakh in 4-5 days? Q7. Is it possible to do Leh Ladakh trip in 2-3 days? Q8. Should I go to Ladakh from Srinagar Leh Highway or Manali Leh Highway? Q9. What is the best time to travel Leh Ladakh? Q10. Can I travel to Leh Ladakh in August or Monsoons? Q11. How can I plan a trip to Ladakh in Winters? Q12. What are places to see on a Leh Ladakh Trip? Q13. What are places to see on Srinagar Leh Highway? Q14. What are places to see on Manali Leh Highway? Q15. What are places to see in Leh or around Leh? Q16. What are places to see in Nubra Valley? Q17. What are places to see in Pangong Tso? Q18. What are places to see in Tso Moriri? Q19. What are places to see in Hanle? Q20. Can I go from Nubra Valley to Pangong Tso directly? Q21. Can I go from Pangong Tso to Tso Moriri directly? Q22. Can I travel to Hanle? Q23. Can I travel to Umling La Pass? Q24. Can I visit Tso Moriri from Manali? Q25. Can I visit Pangong Tso from Manali? Q26. Is there any map of Leh Ladakh? Q27. Can I cross Rohtang Pass on Tuesday? This section should answer all your questions related to planning aspects of a trip to Leh – Ladakh. Once, you go through these questions you will understand how you can easily plan for your upcoming Leh Ladakh trip. You can reach Leh Ladakh either by road or by air. Unfortunately, there is no connectivity to Ladakh by train. You can either reach Jammu or Srinagar by train and then reach Leh by road to Leh from either of these places. By Road: Ladakh is connected by the two adventurous roads popular by the names of Manali Leh Highway which connects Leh to Manali and the other one is Srinagar Leh Highway that connects Leh with Srinagar. By Air: Leh is also connected with Delhi, Jammu and Srinagar airports by direct flights. Delhi to Leh there is a daily direct flight service offered by many airlines. It will take four days to reach Leh from Srinagar Leh Highway starting from Delhi with stopovers at Jammu, Srinagar, Kargil. Then, it takes three days to come back to Delhi from Leh using Manali – Leh Highway with stopovers at Sarchu/Jispa/Keylong & Manali. This makes it seven days. Then, at least one day is required in Leh for acclimatization. So, overall in just 8 days, you can cover Manali Leh Highway, Srinagar Leh Highway and Leh town only. Now, at least three days is required to travel for sightseeing to Nubra Valley and Pangong Tso using the direct route from Shyok village. The short answer to the question is yes. However, as you read in Q# 2 that you need 11-12 days at least for a road trip to Leh Ladakh. 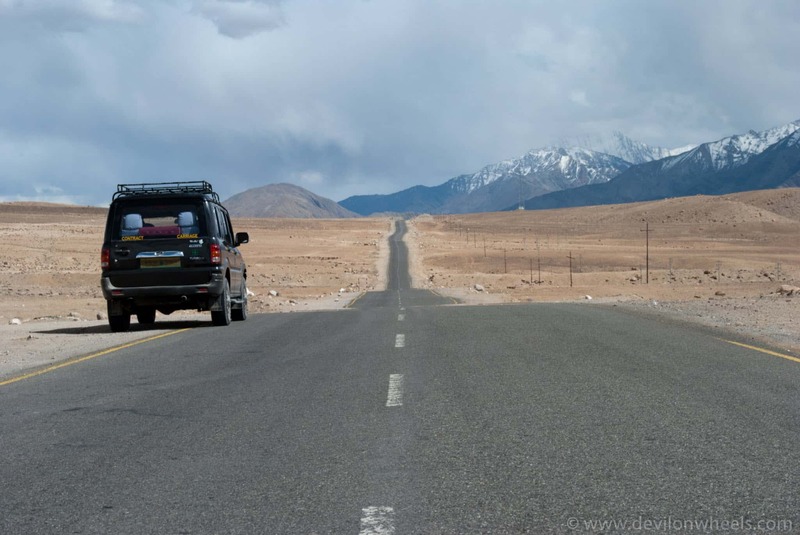 Opt to go via Manali – Leh Highway to save a day and refer my Leh Ladakh in 9 Days – Itinerary. if you are doing Ladakh trip in 4 days, then, do a day trip to Nubra Valley on the third day and then do a day trip to Pangong Tso on the fourth day. if you are doing Ladakh trip in 5 days, then, use the last three days to do a 3 day trip to Nubra Valley and Pangong Tso by using the direct route from Nubra Valley to Pangong Tso via Shyok village or Wari La routes. The short answer to the question in “Yes”. However, does it makes sense to make a 2-3 day trip to Ladakh, well, kinda “No”. You need at least 7-8 days for making a road trip to Leh Ladakh and in that as well you will touch Leh and come back home without visiting any sightseeing places in Ladakh. So, if you want to make a trip to Ladakh in 2-3 days, the only option is to fly into Leh. But, then as per acclimatization recommendation, you need at least 36 hrs of acclimatization. Hence, for the first two days, you will be restricted to Leh only after you fly into Leh. Then, on Day 3, if planning a 3 day trip to Ladakh, you can either do a day trip to Nubra Valley or do a day trip to Pangong Tso. I will suggest you should always try to plan the trip to Ladakh from Srinagar Leh Highway side, as it is much much easier on your body and help you acclimatize to the high altitude of Manali – Leh Highway in the return journey. Secondly, it allows you to enjoy the beauty of Manali Leh by splitting the journey almost evenly in two days with a night halt at Sarchu. It is difficult to sleep at Sarchu when coming from Manali side due to AMS issues. 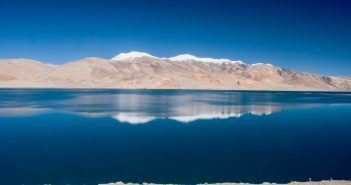 Thirdly, it will allow you to fit the trip to Tso Moriri lake into the itinerary in a much better way when returning from Manali Leh Highway. It is always nice to plan your journey in June to mid – July when the roads to Ladakh are open from both Srinagar as well as Manali sides. In addition to it, this is the time when you find a good amount of snow on the roads, especially June. However, please keep in mind that road conditions hardly improve on Manali – Leh road and remains almost quite challenging/adventurous all throughout the season. It improves towards the end of the season that is September or October but by that time snow is all gone and risk of road closure increases especially towards the end of October. 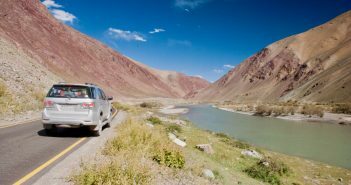 So, you need to be prepared for all the adventure that Manali – Leh Highway offers a traveler in the month of June – July and the situation worsens when the monsoon hits Northern Indian in late July and August. In monsoon/rains, you will need to face challenges almost up to Baralacha La pass with slush on the roads beyond which it becomes a bit dry as you enter the rain shadow region of Ladakh. IMHO, whatever best window to visit Ladakh you will get so that you avoid monsoons, see/experience snow and all roads are open for you will be like 15th June – 15th July window. If you want to see beautiful colors of Ladakh then second half/late of September is THE best time to visit Leh – Ladakh when these colors are oozing and burning out vividly and of course, the road conditions get better in late September type when rains reside the region completely. It is my favorite time to visit Leh – Ladakh region and yeah, tourists headcount all dips a bit in late in the season. End of July and August is monsoon time in general up here in North India. At some parts of Manali – Leh Highway (like before Baralacha La) and Srinagar – Leh Highway (like before Kargil) you will face monsoon hassles. What it means is that the rivers will be flowing violently, there will be slush on the roads (Zojila Pass, Rohtang Pass becomes hellish) and of course, landslides will be common in lower Himachal and other parts of J&K. But once you get closer to Ladakh, then Ladakh being a rain shadow region is very less affected by monsoon rains. Things are changing all over the world, but it is a safe assumption. As said above, intermittent landslides or roadblocks are pretty common in the month of monsoons but these landslides are cleared in a day or two unless there is a very major one or a big cloudburst/flash flood. Rains do reach Ladakh nowadays but in general, it is overcast days or in form of light rain. You should definitely read my 10 Tips for a Trip to Ladakh in Monsoons. In winters, the roads to Ladakh from Manali and Srinagar are closed. Hence, the only way to make a trip to Ladakh in winters is to fly to Leh and then do the sightseeing within Ladakh to places like Pangong Tso, Nubra Valley, and Tso Moriri. The roads within Ladakh over Khardung La and Chang La remains open all around the year barring few days of heavy snowfall. So, you can make a trip to both Nubra Valley and Pangong Tso over them respectively. There are no high passes that come on the way to Tso Moriri via Mahe bridge route. Hence, the road from Leh to Tso Moriri remains mostly open all around the year from Mahe bridge route. 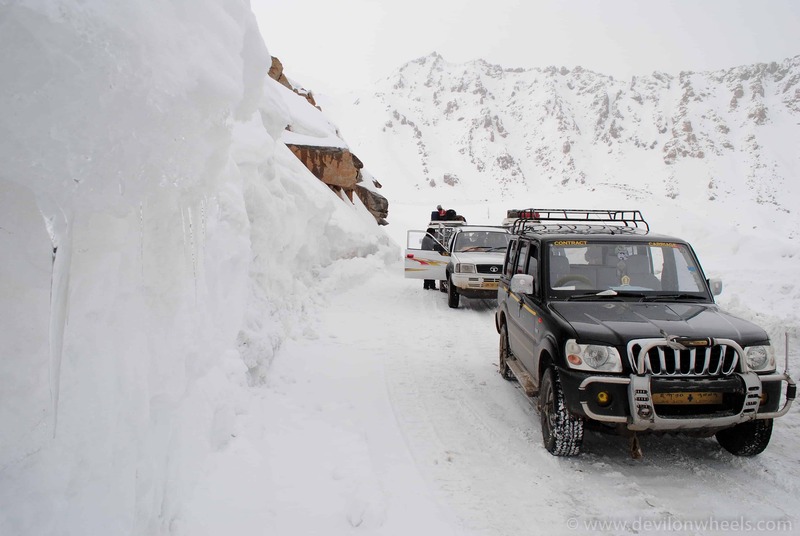 Similarly, the road connectivity between Leh and Hanle is also kept maintained in the winter months. Directly flying to Leh, that too in winters, may trigger some acute mountain sickness issues. So, keep sipping black tea, black coffee or hot honey lemon tea to combat cold and still keep your body hydrated. Take garlic & black pepper too as they provide warmth in the body and supports in fighting the cold. As not all hotels will be open, so you might be staying at homestays especially at Nubra, Pangong Tso, and Tso Moriri. Best is to carry your own sleeping bags in case you find the quilts provided by the homestay uncomfortable or inadequate. You must prepare you budget well as both stay and taxis will charge approximately the similar amounts. Some stay even charge more than usual season time rates because of continuous use of heating equipment. Majority of the restaurants will be closed, so you will have to eat food at the hotels or homestays only. Carry enough cash as ATMs in Leh might have operational issues. Snowfall in winters will be a common affair. BRO tries to keep the roads over Khardung La and Chang La open all around the year but in case of heavy snowfall, the road may get closed for a couple of days. You must always have at least a couple of buffer days at hand when planning a Ladakh trip in winters because of unexpected inclement weather, roadblocks or flight cancellations due to weather. Finally, do not forget to carry good winter clothes or winter gear so that you can enjoy the frozen vistas without fighting much to just survive. And do book a window seat to capture some of the majestic frozen aerial views of the Himalayas. In the end, from these tips on traveling to Ladakh in winter you can see that Ladakh trip in winters indeed is fun yet requires some caution to travel safely. So, plan only if you are used to such cold conditions or at least know that you will be able to bear them. This section should answer all your questions related to sightseeing aspects of a trip to Ladakh. 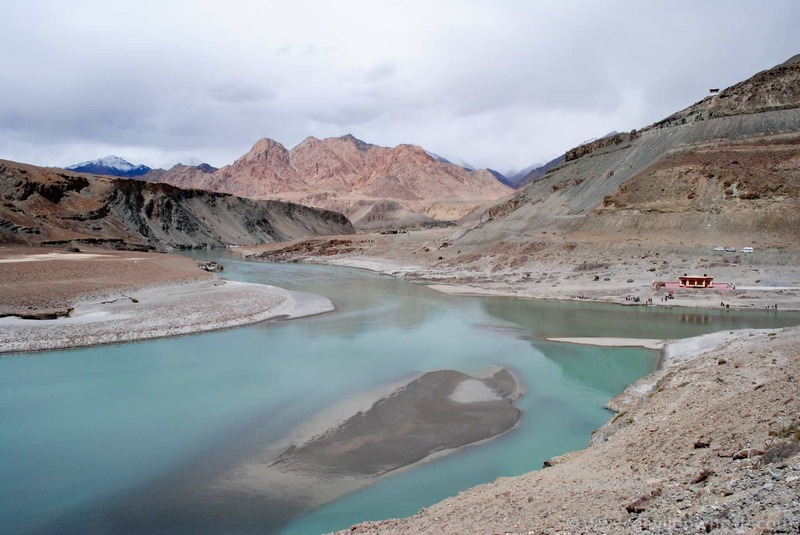 Once, you go through these questions you will understand various places to visit in Ladakh. When you make a trip to a place like Ladakh, it is not just the destination that matter but the journey too. On a road trip to Ladakh, there is just so much to see and cherish that you just cannot consume it all at once. Apart from the named famous places, there is so much to see, view and explore on almost every other turn on a Ladakh road trip. When you travel to Ladakh by road, you reach Leh first either by Srinagar Leh Highway or Manali Leh Highway, both of which have their own beauty and landscapes. Once you reach Leh, you can start exploring the places within Ladakh like Leh town itself, Nubra Valley, Pangong Tso, and Tso Moriri to name a few. There is plenty to see and explore on this 434 KM long Srinagar to Leh journey. There is so much contrast in the way the overall beauty and the altitude change gradually when we travel from Srinagar to Leh. All over the Manali Leh Highway, you will come across various sightseeing places and mountain passes including Rohtang Pass, Baralacha La Pass, Lhachlung La Pass, Namki La Pass, and Taglang La Pass. There is a beautiful lake Surajtal and one pond named Deepaktal. You can get to know them in detail in my guide on sightseeing places in Manali – Leh Highway. The overall journey over Manali Leh Highway is an experience of a lifetime with magnificent views of the trans-Himalayas. I bet you will never have a dull moment when traveling on this most adventurous highway of India. Leh is the main town in Ladakh and its district headquarters. All the administration offices are present in Leh for Ladakh sub-district. Locally you can visit many places apart from strolling at the main market road, Changspa road and fort road with some good restaurants and dine-ins. Apart from it, in the local sightseeing places of Leh, you can visit The Khar – Leh Palace, Tsemo Castle, Namgyal Gompa, Shanti Stupa, Hall of Fame, Sankar Gompa, Datun Sahib, Sidhu Ghaat and Zorawar fort. Apart from these places, there are other nearby monasteries like Phyang, Spituk, Shey Palace, Thiksey Monastery, Hemis Monastery, Matho Monastery, Stok Palace and Stakna Monastery. It all depends upon if your interest lies in these places or not. Then finally you can visit Sham Valley which includes Alchi, Likir, Basgo Palace, Magnetic Hills, Confluence of Zanskar and Indus river at Nimmu village, and Gurudwara Pather Sahib. Nubra Valley is situated north of Leh and Khardung La pass connects Nubra Valley with Leh. It is about 120 odd KMs from Leh and you can visit the following places in Nubra Valley based upon the time you have in hand. I will recommend that you give a minimum of two days if not three. In case you want to visit Turtuk, you must dedicate three days for Nubra Valley trip from Leh. Diskit: Diskit monastery is the largest and oldest Buddhist monastery in Nubra Valley. It houses a 106 feet tall Maitreya Buddha statue. There is Lachung temple as well which is quite close to the monastery. Hunder: Hunder is famous for its sand dunes and double-humped bacterian camel safari. It offers a beautiful landscape. Turtuk: Opened for tourists in 2010, Turtuk offers a much different landscape and cultural orientation than the rest of the Nubra Valley. You can see apricot trees loaded around the entire village with views closer to Karakorum range. Sumur: Somewhere between Sumur and Kyagar, you can visit Samstanling monastery. Personally speaking, can be skipped. Panamik: It has hot water springs and a sacred Yarab Tso lake nearby the entrance of the village. Personally speaking, can be skipped. 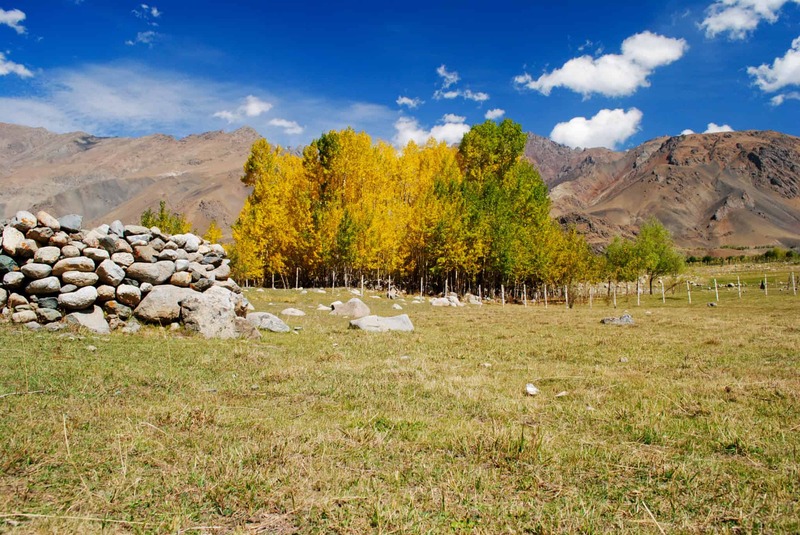 Travel Tip: If you have three days in hand, Turtuk is a MUST VISIT place in Nubra Valley. The journey from Leh to Pangong Tso is about 170 KMs where you travel over Chang La pass to reach Lukung or Spangmik, the villages beside the beautiful Pangong Tso. 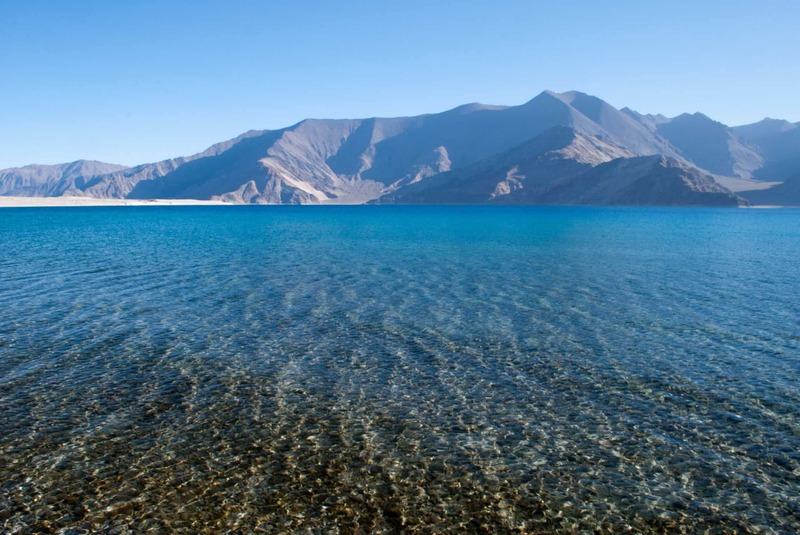 There isn’t anything to see in Pangong Tso rather the lake itself. If you have time you can visit Harong Wetlands that offer some scenic beauty or travel on the desolated route of Spangmik – Man – Merak – Chushul along the shores of Pangong Tso lake. When you travel to Pangong Tso from Leh, you can also cover some of the monasteries that fall on the way like Hemis, Thiksey, Shey Palace and Stakna. 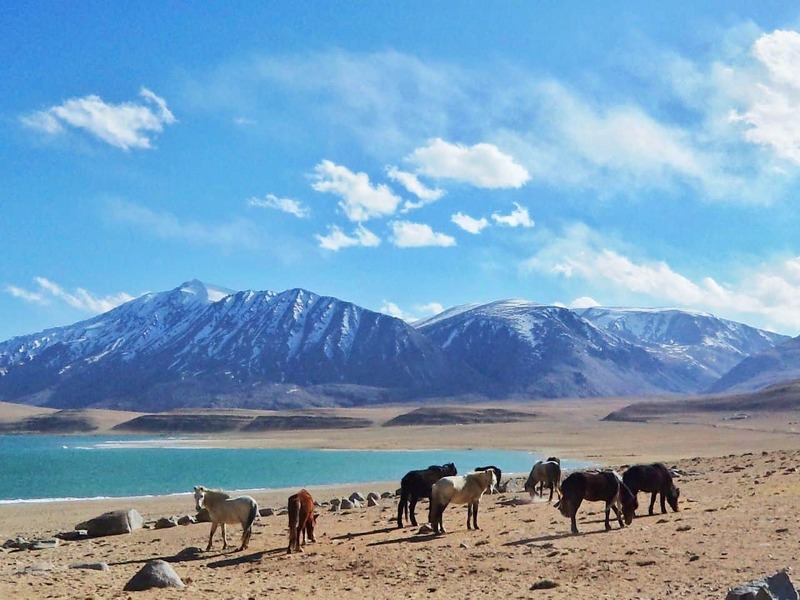 When you plan to visit Tso Moriri, you should not miss spending some time at Tso Kiagar. It comes on the way to Tso Moriri from Sumdo after crossing Chumathang. When traveling from Leh to Tso Moriri, you can stop for snacks at Upshi dhabhas, then have lunch at Chumathang Hot Springs dhabha/restaurant. Once you take the right from Mahe towards Tso Moriri, you will reach Tso Kiagar. 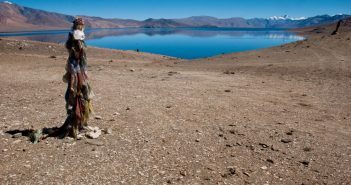 After visiting Tso Moriri lake, you can plan to come to Leh next day covering Tso Kar Lake and Taglang La pass route. Sometimes people do spend a day at Tso Kar lake too, especially those who love birding. Hemis, Thicksey, Shey and Stakna monasteries also fall on the same route of Leh to Tso Moriri. So, if you have not visited any of them previously, depending on the time, you can visit them when traveling to Tso Moriri. In general, people visit Tso Moriri lake when traveling from Leh to Manali over Manali – Leh Highway. You can exit to Manali Leh Highway from Tso Moriri from Tso Kar lake – Debring route and continue further on Manali Leh Highway towards Pang and Sarchu. It takes three days to reach Manali from Leh covering Tso Moriri with one night halt at Tso Moriri and other at Sarchu. Hanle is one of the offbeat places in Ladakh and is about 275 KMs from Leh. When planning a trip to Hanle from Leh, you can consider clubbing it with the trip to Tso Moriri, of course by adding an extra day in the overall plan. Hanle has a hilltop monastery that offers some fabulous panoramic views and also houses the world’s highest observatory in the world at a staggering height of 4500 Mtrs. The Hanle Observatory is operated by Indian Institute of Astrophysics, Bengaluru and currently the second highest optical observatory in the world, with an installed telescope of about 2.01 meters (6.5 feet) diameter. The beauty of Hanle is unmatched than rest of the Ladakh and you need to visit it to believe it. Once you are in Hanle, if you have an extra day at hand, you can travel to Photi La pass and try your luck with Umling La pass, although civilians are not allowed to travel to Umling La pass. Alternatively, you can make a day trip to the unknown desolated lakes of Changthang region, Kyon Tso 1 or Ryul Tso or Kyong Tso 2 / Chilling Tso. This section should answer all your questions related to routes and road conditions of a trip to Leh Ladakh. Once, you go through these questions you will understand the road conditions and various routes to travel in Ladakh. Those who are short on time can take the direct route from Nubra Valley to Pangong Tso either from shorter Shyok Village route or from the longer Wari La route. In order to take any of these direct routes from Nubra Valley to Pangong Tso, you do not need any special permits and the permits for Pangong Tso & Nubra Valley are sufficient. When we talk about the shorter route of Nubra Valley to Pangong Tso from Shyok village, it feels tempting to take it when we know it can be done in 5-6 hrs instead of going back to Leh in that time. However, the route used to have very challenging conditions which have been settled a lot in the last couple of years (2017, 2018). Especially starting from 2018, the direct route from Nubra Valley to Pangong Tso is very common among many tourists. Having said that, the road conditions on this route from Shyok village to Pangong Tso have some bad road stretches and sometimes the Shyok river swells to block the road. There are a couple of landslide-prone sections of the roads as well. Hence, you must inquire about the road conditions at Agham village before going ahead toward Shyok village. Also, if you are alone then it is always advised that you wait for few vehicles at Agham village and proceed ahead in a group of vehicles. This will give you company and a sense of security in case of any misadventure. Next possible way to reach Pangong Tso from Nubra Valley directly is to take the route from Wari La pass. It is a longer route and takes about 10 hrs to reach Pangong Tso from Nubra Valley. 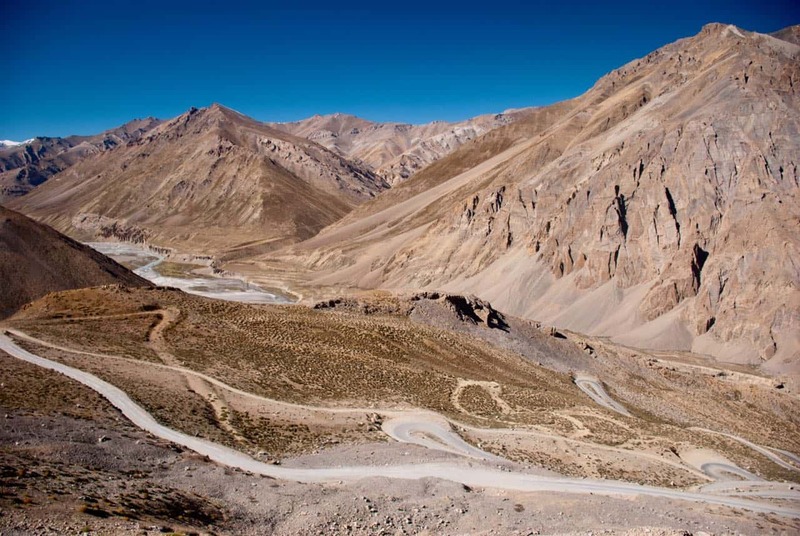 It takes you to Shakti / Serthi villages just below the Chang La pass that falls on Leh – Changla – Pangong Tso route. Hence, it is longer and cover majority of the route you will cover when coming from Leh to Pangong Tso. Similar to Shyok route, which is not more often used by tourists, the route from Wari La pass to Pangong Tso is a bit more desolate. Unless you have some company with you on this route, it is always better to avoid it. I am saying not because there are bad road conditions but, yes, being desolate it has its own risk associated. A lone vehicle in such remoteness does carry a lot of risks in case there is any mechanical failure. Hence, if Shyok village route is closed and you want to go directly from Nubra Valley to Pangong Tso, wait for some vehicles to come at Agham village and tag along with them. The short answer is “Yes”, you can travel from Pangong Tso to Tso Moriri directly if you are an Indian. The foreigners are not yet allowed to travel beyond Man – Merak village check-post at Pangong Tso. However, you can take the beautiful route along the shores of Pangong Tso driving through Man – Merak – Chusul – Tsaga – Loma – Nyoma – Mahe – Sumdo villages to reach Tso Moriri. Starting 2018, there is a special permit given by the DC office in Leh, which is nothing but an extra stamp that says you are permitted to travel on Chusul route as well to reach Tso Moriri or Hanle from Pangong Tso directly. These permits of a direct route from Pangong Tso to Tso Moriri are not available online and need to be applied/get stamped in person at Leh DC office. Sometimes army personnel at Chushul check post deny the passage even with permits, so keep that back of your mind and be ready to shuffle the plan accordingly. As per the road conditions, the direct route from Pangong Tso to Tso Moriri is completely a dirt track all the way with quite a bumpy ride up to Tsaga. That churns most things in your stomach 😀 … Beware of the beauty of the route too, it is just outstanding !! Finally, very fewer people take this route from Pangong Tso to Tso Moriri and you will not see anyone around you in the miles. So, take the calculated risks. You may sync up with few vehicles at Pangong Tso if they are traveling in that direction and travel as a convoy to help each other when in need. Yes, you can travel to Hanle, if you are an Indian but foreigners are not allowed to travel to Hanle. The permits to Hanle have started to get re-issued at Leh DC office in June 2018. It was stopped for a short period of time as some bikers went far ahead and created a ruckus, which forced the army to issue orders for stopping people to take these routes. You need to apply for Hanle permit in person at DC office in Leh. You need to get an extra special stamp for Hanle when applying for a permit at the DC office in Leh. If you have that special stamp/permit, you will be allowed to travel to Hanle from Loma at the check-post. Without that stamp/permit for Hanle, Loma check-post will not allow you to go through towards Hanle. Starting May 2018, no civilians are further allowed to travel to the Umling La pass, the highest motorable pass in the world at an altitude of 19300 feet. The people who traveled to Umlinga La did it without any special permit and when the road was being constructed. Due to its close proximity to China border, the army has completely stopped civilians to travel to this highest mountain pass of the world as of 2018. Maybe in future, the army might start allowing the tourists but nothing certain for now. As Tso Moriri comes as a diversion on the way from Manali to Leh, a lot of people think about taking the diversion and traveling to Tso Moriri from Manali side. However, it is not recommended at all. When you are traveling on Manali Leh Highway, you plan to stay overnight at Manali and Jispa / Keylong. Both of these places cannot help you acclimatize to such a high altitude of Tso Moriri (4500 Mtrs). Hence, with the body which is not acclimatized, sleeping at such high altitude can cause the severe health issues. Keep in mind, it is a remote place in Ladakh and any major medical help required will be far away in Leh. You also need permits to visit Tso Moriri lake which can be stamped in Leh after paying the respective fees of online permit copies. So, you will need someone to deliver these permits in advance. Finally, if you are traveling by outside Leh rented a taxi or outside Leh rented bike, you will not be allowed for sightseeing in Ladakh including Tso Moriri. Hence, it is not wise to travel to Tso Moriri from Manali side. However, after doing the trip of Ladakh visiting Nubra Valley, Pangong Tso, you should visit Tso Moriri while exiting from Manali Leh Highway. This way, it fits in your overall Ladakh plan and also helps you sleep at Tso Moriri with an acclimatized body. You can also read in detail about 5 reasons not to visit Tso Moriri from Manali side. Similar to the question answered for traveling to Tso Moriri from Manali, it is highly not recommended to travel to Pangong Tso from Manali side. Tso Moriri still is a short diversion from Manali Leh Highway but then for Pangong Tso, you are looking to travel from Jispa/Sarchu to Pangong Tso directly which is much longer in distance. It will leave you tired and alleviate the chances of getting stuck with AMS badly with an already un-acclimatized body. Any major medical help required will only be available in Leh. Pangong Tso is an inner line region in Ladakh. It requires you to have an Inner Line Permit to travel to it, which can be stamped or authorized in Leh only after paying the required fees for them. Finally, you will need a Leh based taxi to travel to Pangong Tso as outside Leh rented taxis or self-drive cars are not allowed for sightseeing in Ladakh. Similarly, you cannot take an outside rented bike to Pangong Tso as well. Hence, first go to Leh, rest for a day and then travel to Nubra Valley first to get your body acclimatized. Then travel to Pangong Tso for an overnight stay. This way you reduce the chances of getting hit with AMS and have other required things including permits & taxis in the order as well. Yes, there exist DoW Maps of Ladakh which has been created to give you the details on places, distances, important monasteries, mountain passes, lakes etc. in entire Ladakh covering Nubra Valley, Sham Valley, Pangong Tso, Tso Moriri, Hanle and other parts of Changthang Valley. The map also helps you get an idea on the fuel availability in entire Ladakh region, road difficulty level along with which type of car you might need to cover a particular stretch (a bit outdated maybe), list of ATMs in Ladakh. You must note that though Black Diesel/Petrol is available in certain villages, the quality of such fuel is compromised and shall only be considered in worst case scenarios. If you are traveling from Manali side to Rohtang Pass, you will not be allowed to travel on Manali – Rohtang Pass road. Also, the permit to cross Rohtang Pass will not be issued on Tuesday. However, you can travel from Keylong side to Rohtang Pass on any day including Tuesday. You do not need any permit for Rohtang Pass when you travel to Manali from Keylong side. In the next article of the series, I will answer the frequently asked questions about stays and accommodation in Ladakh, where to eat in Ladakh and inner line permits for Leh Ladakh. I hope this article answers your questions with respect to planning a Ladakh trip, sightseeing in Ladakh and road conditions / routes within Leh Ladakh. my self vijay beladkar . Thanks for the very informative post, DHEERAJ SHARMA. If you could help with my query, it would be really helpful of you. I am currently planning a trip to Kashmir, Lay Ladakh, Srinagar, Phalagam and Sonmarg, from April `13 2019- April 21. Can you, if possible, provide information on which places to visit, and also make us an itinerary which covers all of the important destinations from the above locations in the given time frame. If possible, can you detail a budget with travel and accommodation recommendations? In short, Could you please provide a quotation for this trip, with itinerary list and accommodation for 8 days, and where to go and how to get there. Thanks for your very informative post. I am currently planning a trip to Kashmir, which will include a visit to Lay Ladakh, Srinagar, Pahalgam and Sonmarg. Could you provide details about what places to visit, and if possible, construct an itinerary for it, with recommendations about accommodation, food and etc, and a possible budget? Our trip will range from 13 April- 21 April. We need to definitely visit all of the above locations. Also, can you make please make an itinerary that covers all of these places in the given time, and tell us whether it is a suitable time to visit them.